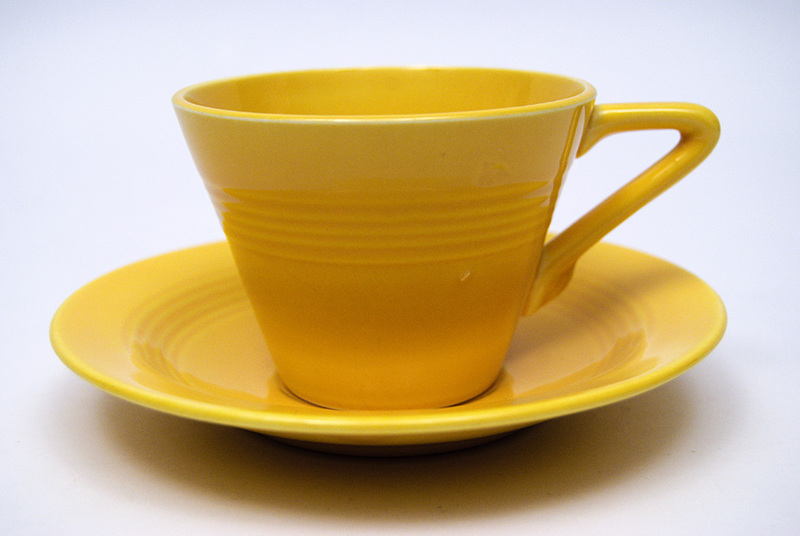 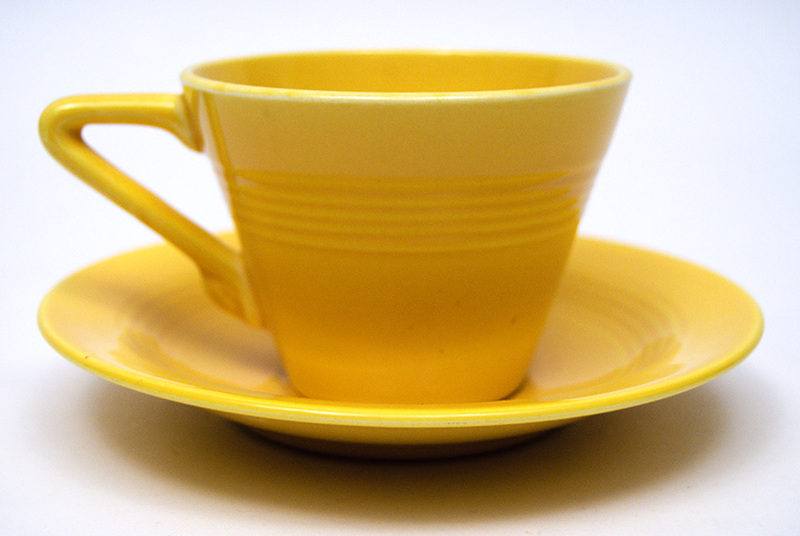 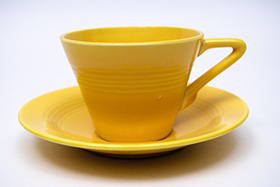 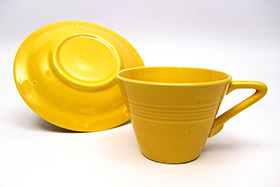 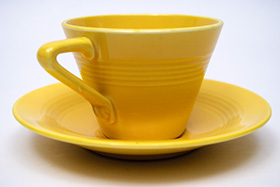 Circa 1949-1959: The teacup and saucer was a cornerstone in a pottery lines design. 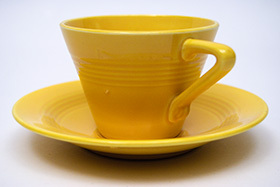 Great attention to detail was given to the Harlequin teacup— rings surround the body of the flared cup, the inside of the saucer bowl and even seem to line the scalloped decoration under the handle. 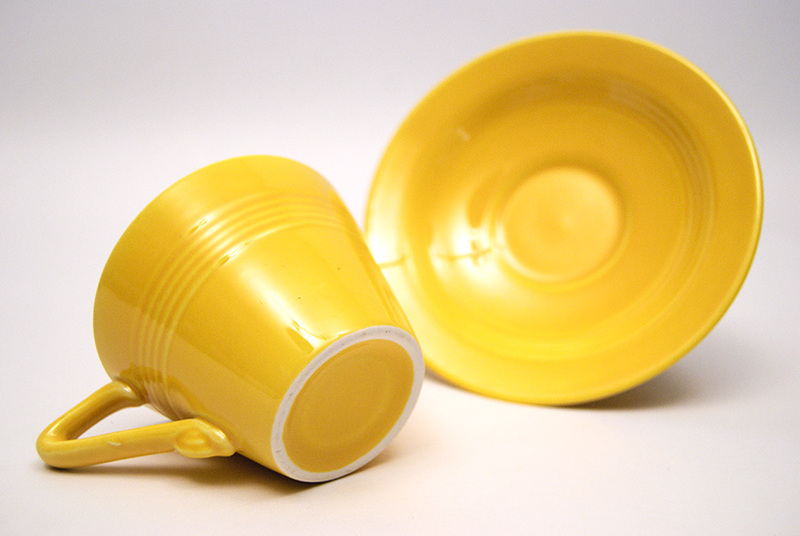 Made from a thinner clay body than the sister pottery of Fiesta, it is harder to find Harlequin without damage, and collectors will appreciate the unused look of this vintage set in the classic yellow glaze.